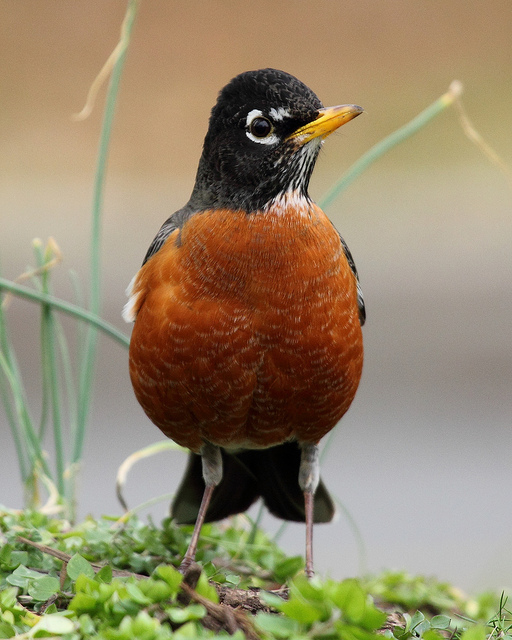 When English settlers in the New World encountered the American Robin, they saw in it a reflection of the bird they knew as the Robin in the old country. So they called this one a robin, too. Today the American and British Ornithological Unions together determine how a bird is named. For a checklist of American birds, visit the AOU.org. Behind every bird name there is a story - and often a unique bit of history. 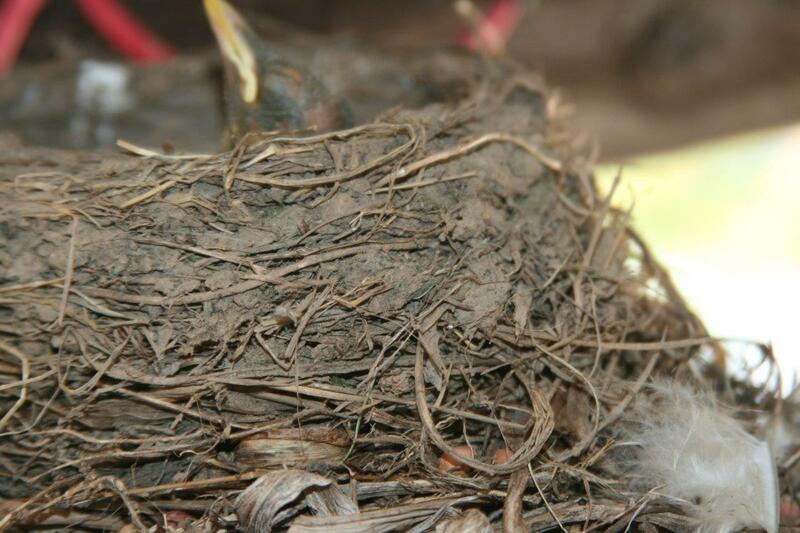 Consider our familiar American Robin, which lives throughout much of North America but is not found in Europe. When English settlers in the New World encountered this new bird, they saw in it a reflection of the bird they knew as the Robin – or Robin Redbreast – of the old country. So they called this one a Robin, too. 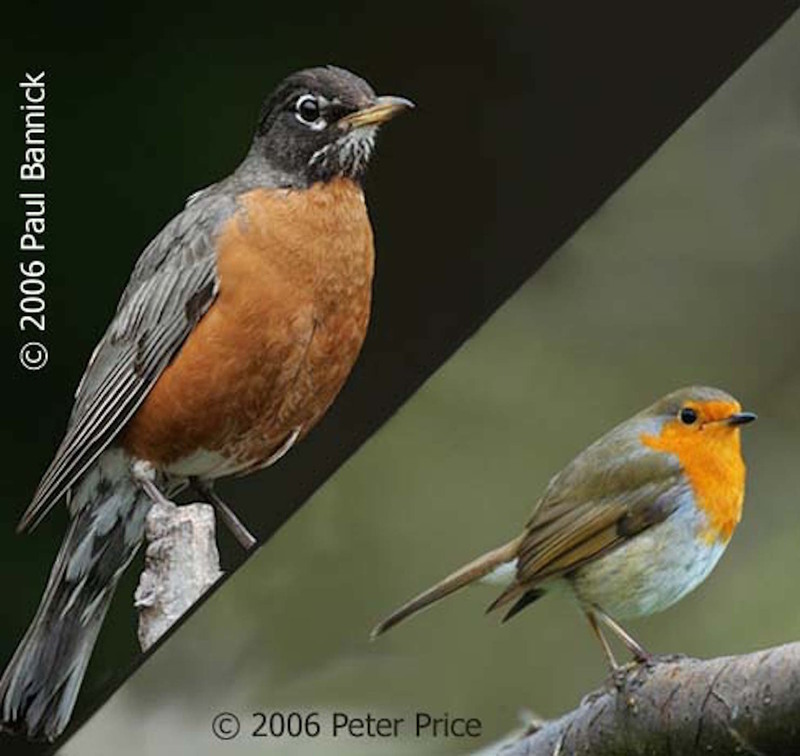 The Robin of the British Isles [song of the European Robin] is a tiny bird with an orange face and upper breast, and only a distant relative of our much larger American Robin. And there were more “robins” to come. One writer remarked: “Wherever the English have settled they have tended to bestow the name Robin on any bird with a noticeable amount of red or russet in the plumage.”(1) On this continent alone, bluebirds (which have some orange on the breast) were called Robin by the British, towhees were Ground Robins, and the Baltimore Oriole was called the Golden Robin. Today the American and British Ornithological Unions work together to determine, among other things, how a given bird got its name. There are more than 2,000 species of birds of North and South America. 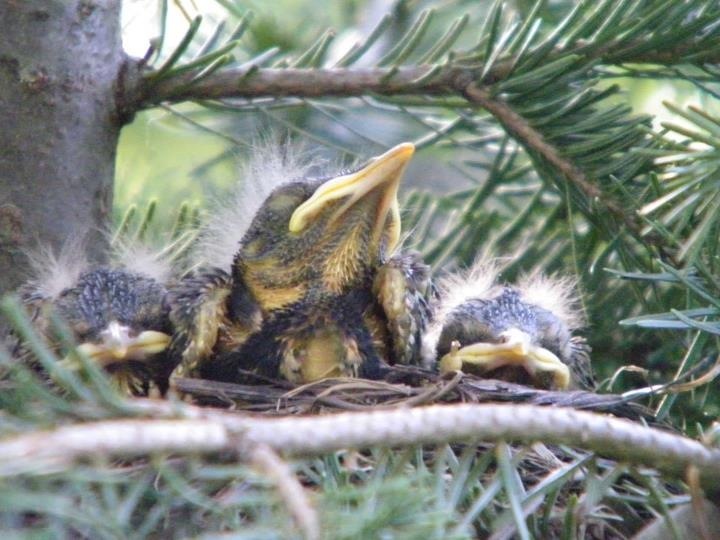 To see the list, compiled by the American Ornithological Union, you’ll find a link on birdnote.org. I’m Frank Corrado. Call of the American Robin provided by The Macaulay Library of Natural Sounds at the Cornell Lab of Ornithology, Ithaca, New York. Recorded by G. A. Keller. (1) Ernest A. Choate's The Dictionary of American Bird Names. Revised Edition. Boston: The Harvard Common Press, 1985.